So now that Thanksgiving's long gone, you might be wondering what to do with all of those cans of pumpkin that you bought when they went on sale for 39 cents. Is that just me? Here are two delicious pumpkin ideas that will stave off those pumpkin pie* cravings once pie season has faded. *Actual pie. Made from the Thanksgiving 2012 issue of Bon Appetit. 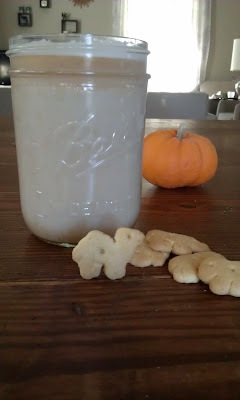 Delicious, simple to make and doesn't use canned milk. If you'd rather not shell out $4 for a pumpkin spice latte, or it's past the limited time season, make your own! heat milk on the stove or in the microwave. don't let it boil! 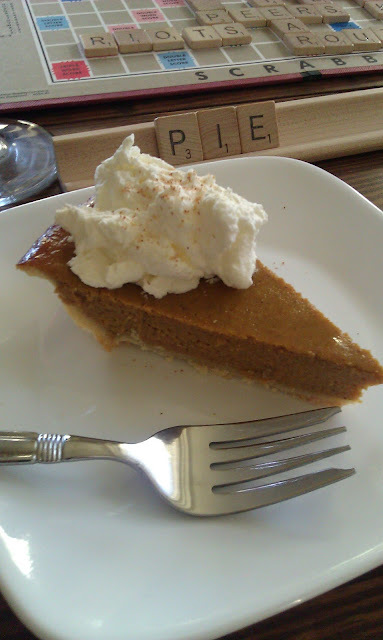 add pumpkin, spices and honey to either a traditional blender or a large enough container to fit an immersion blender. blend and froth for a few seconds until thoroughly mixed. Enjoy! Pumpkin oatmeal: Breakfast that tastes like pumpkin pie... that is actually good for you? Ok.
*I don't use the seasoning when I'm using the Chai Spice oatmeal because it's already seasoned. Optional: raisins, nuts, berries, etc. in a bowl, combine oats, pumpkin, maple syrup, milk, and seasoning if using. slowly add boiling water, pouring over the pumpkin to make it creamy until cereal reaches desired consistency. add optional toppings. stir then cover for about 3 minutes. I like to microwave mine for about 20 seconds right before eating it because I like it really hot! Warning, this is an addicting, sweet and easy breakfast. I have eaten it several days in a row! 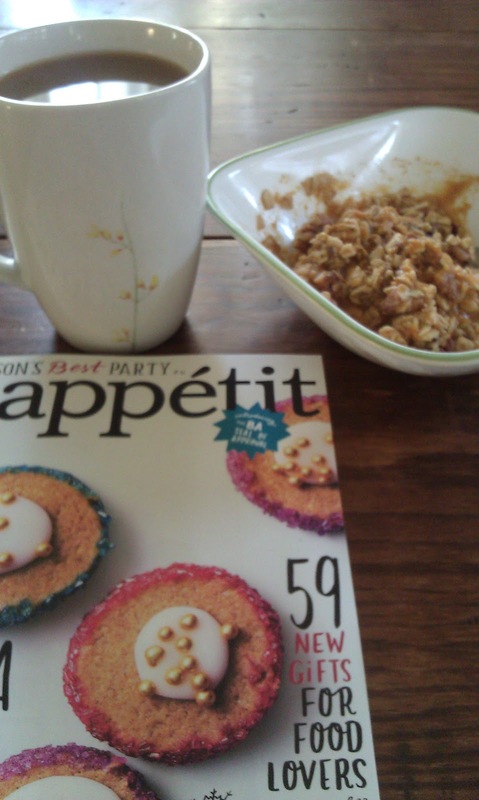 Tastes great with coffee and Bon Appetit magazine!